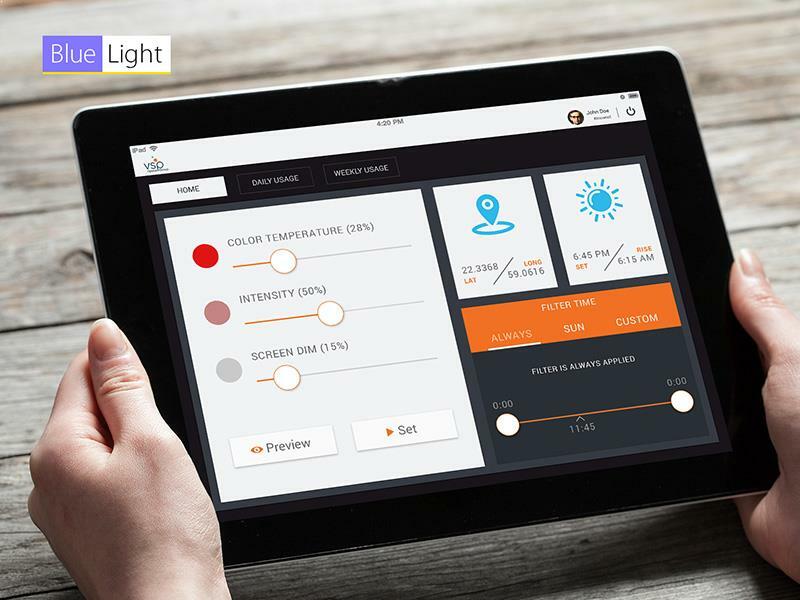 It is a screen light controller app which tracks usages of multiple devices though out the time. It also helps users to avoid eye strain (eye fatigue, computer vision syndrome) due to long working hours on mobile and desktop computers. It fires a notification every 20 minutes advising users to take their eyes out of the screen and look to a distant object for at least 20 seconds. It shows screen usages graph on daily or weekly basic showing how much time user was working on each device. To suppress hazardous blue lights of wavelengths between 380 and 500 nm coming from device screen/monitor, it also adds a color filtration on screen.